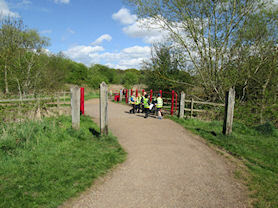 As part of our topic work on 'Caring for Others and Our World', we went on a walk to New Hall Valley. 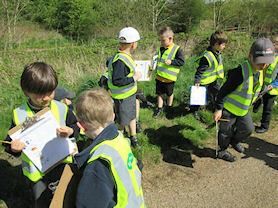 On the way we looked for positive and negative influences on the environment and learnt more road-safety. 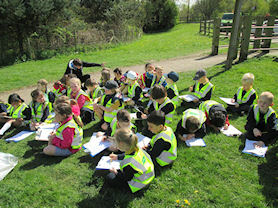 When we got there, we carried out a litter survey and identified different human and physical features in the park before returning back to school. 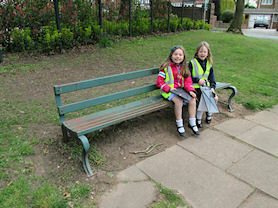 We found lots of evidence of ways in which the environment is being improved. 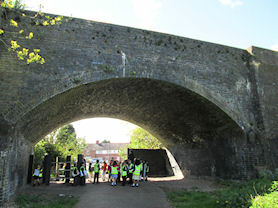 Thinking about some of the negative features we saw on the way, such as litter and graffiti. 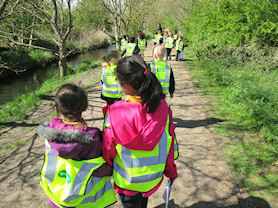 Conducting our litter-survey and enjoying a gentle stroll along the river. Enjoying exploring the park and crossing different sized bridges. Searching a little deeper for evidence of litter-bugs! Testing-out our voices and stamping to see how the sounds echoed under the train tunnel.